Although her roots go back to a small island in the Caribbean, Brenda has long considered herself a Northwest native. With the spices of Latin, Caribbean and American Pop music in her veins, Brenda took to performing at the ripe old age of three. But it was in the Northwest that she developed her love of music. From directing the 90 member choir of Issaquah High School, she went on to write and do the band thing through college in LA. It was while she was employed as the receptionist at a movie production company, that opportunities began to roll in. Due to the unavailability of a female lead, Brenda was asked to stand in so that an audition could continue. That is how Brenda snagged her first movie roll, acting in “Never Look Down,” a television movie starring Raymond Burr. Working closely with the crew, Brenda let it be known that she was not only an actress, but a songwriter as well. Word spread, and shortly thereafter, Brenda was asked to submit music for the movie. Not only was her submission chosen as the theme for the movie, but Brenda had the honor of performing it live at the movie premier. That was all it took to convince Brenda that she should pursue her first love. 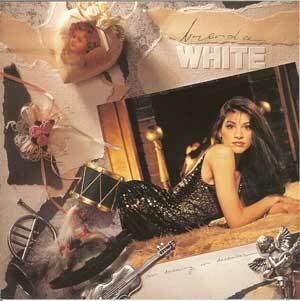 Writing and performing took her into recording studios in Seattle, LA and Vegas. Recording her own music, along with a career of singing and acting in commercials for radio and television, Brenda had the opportunity to submit music for a project that would benefit Children’s Hospital and Regional Medical Center. 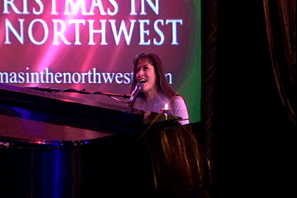 The song she wrote, very simply entitled “Christmas in the Northwest” became the theme for the project, an endeavor that has benefited countless children throughout the Northwest. Brenda has performed with Ray Charles, Kenny G and many others, She won a regional Emmy award for the score of “Choices,” a television movie. She has recorded two CDs, formed her own publishing company, developed a line of greeting cards, a skin care line for men, two storytelling series for children and had four boys of her own.